Leonie Gardens joins a growing list of die-hard sellers trying their luck to go en bloc in the new year. The prime District 9 condominium in Leonie Hill, whose collective sales agreement expires in May, relaunched its tender for a second time at the same reserve price of $800 million last month. The tender closes on Jan 22 at 3pm. The 138-unit condo first launched for sale in May last year, and that tender closed without a bid on June 21. “We held off relaunching until December because of a lack of interest after the July 6 cooling measures. But since then, developers have had time to see how the new launches fared and how prices are holding up,” said Mr Vijay Chopra, chairman of the Leonie Gardens collective sale committee. Asked why the condo was relaunched at the same price, he said: “The owners are willing to accept a lower price but we don’t know what that price should be. We don’t want to go through the process of lowering the reserve price without knowing first what the developers are willing to offer.” At the guide price of $800 million, each owner stands to get between $4.3 million and $10.2 million. The reserve price translates to $2,104 per square foot based on existing gross floor area, or $2,021 per sq ft per plot ratio if a 10 per cent balcony space is included, subject to approval. 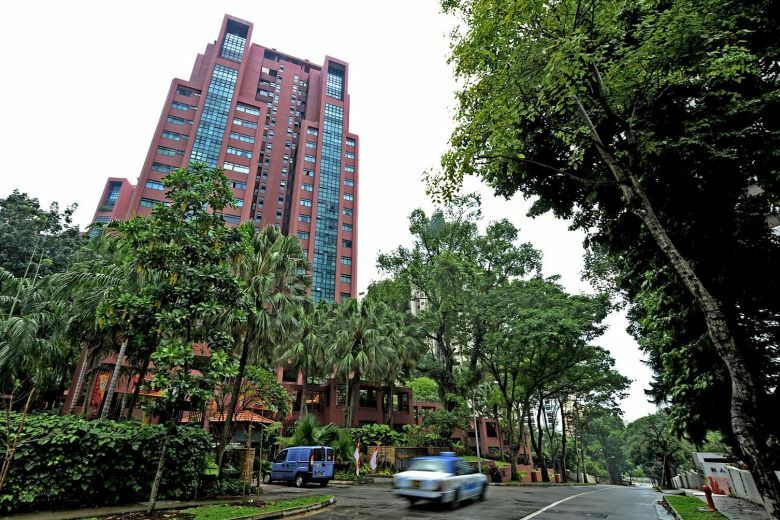 Leonie Gardens has 70-plus years remaining on its 99-year lease, according to marketing agent Huttons Asia. The project sits on a total strata area of 324,972.90 sq ft and has a gross floor area of 410,431.80 sq ft.
As the site is located within the Central Area, it is not subject to an average unit size of 85 sq m, which will allow the developer to build smaller units and keep the quantum palatable for potential buyers. The site is zoned residential, with a plot ratio of 2.8. Subject to approval, it is possible to have a 10 per cent balcony space added, increasing the area to 449,031.63 sq ft.
No development charge is payable as its existing baseline is above the current plot ratio of 2.8. But a development charge of about $44 million will be levied if the additional 10 per cent balcony space is utilised. “Even if we don’t get bids this time round, we still have time to do a private treaty,” said Mr Vijay, who owns more than one unit at Leonie Gardens, including a penthouse.